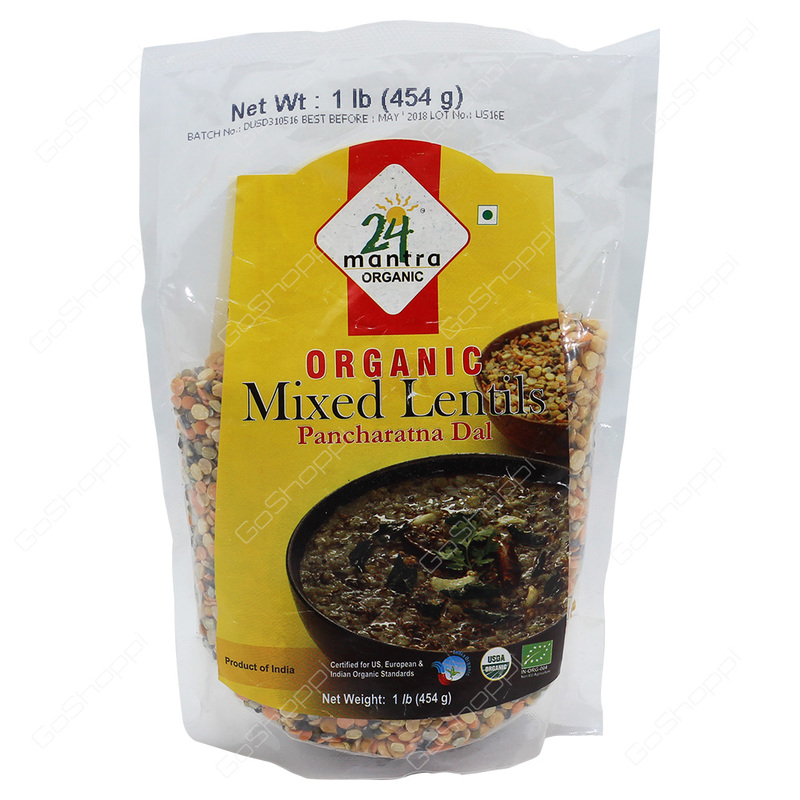 24 Mantra Organic Mixed Lentils prepared with eco-friendly technique without the use of synthetic fertilizers, pesticides and certain harmful chemicals. Dal is the backbone of the Indian meal and definitely has a good deal of protein. It is nutritious, tasty, and adds a perfect accompaniment to most meals. No preservative and artificial colors are used and are free from any kind of toxicity.